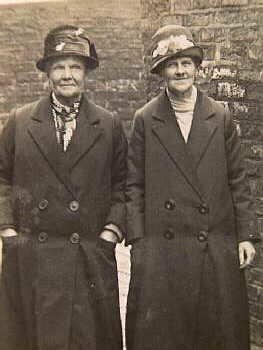 This picture is labeled Esther Craggs (nee Liddell) and Mrs. Hartlepool. We have no idea which is which, but believe that Esther is on the right. Siblings were: George Edmund; Thomas; Sarah; Mary Ann; William; Henry; and Elizabeth Ann.